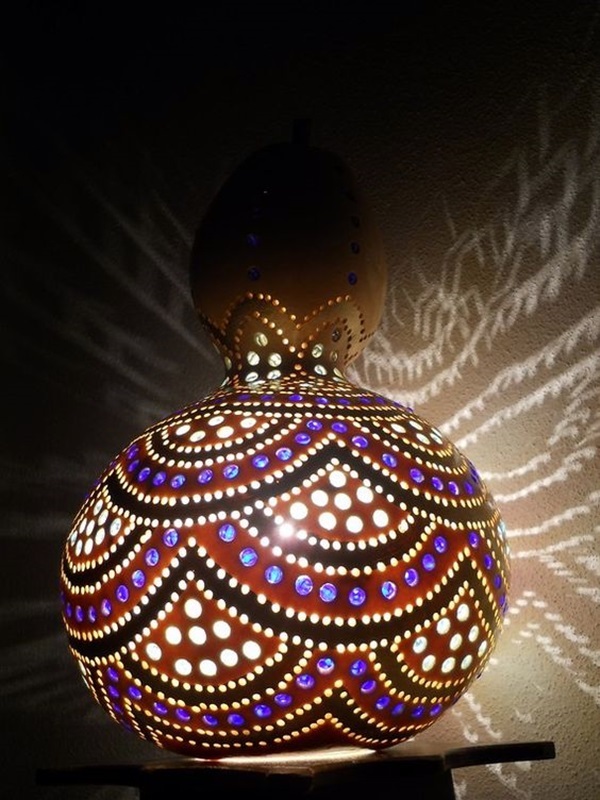 When you are decorating your home, the likelihood of you venturing out of your comfort zone and looking for or even making the most unusual decorative items is very much likely. 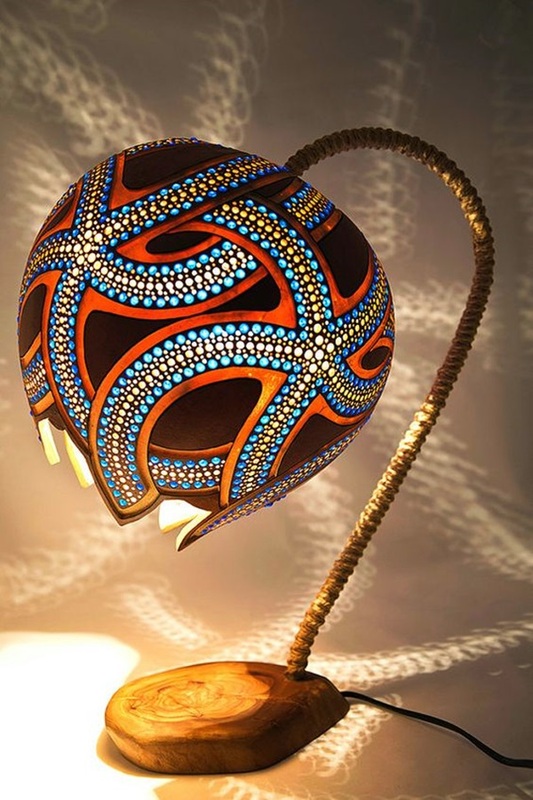 This is because even if we are not that arty in the first place, we want our home to reflect our individuality in every way possible. 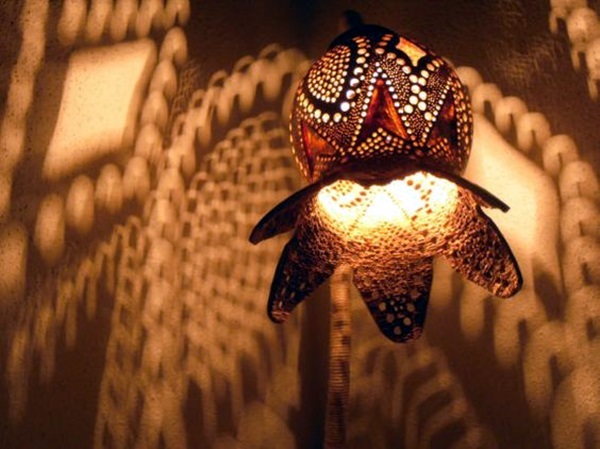 One simple way to make a room look classy is by adding lamps at strategic areas so that the house has an interesting play of light and shadows. 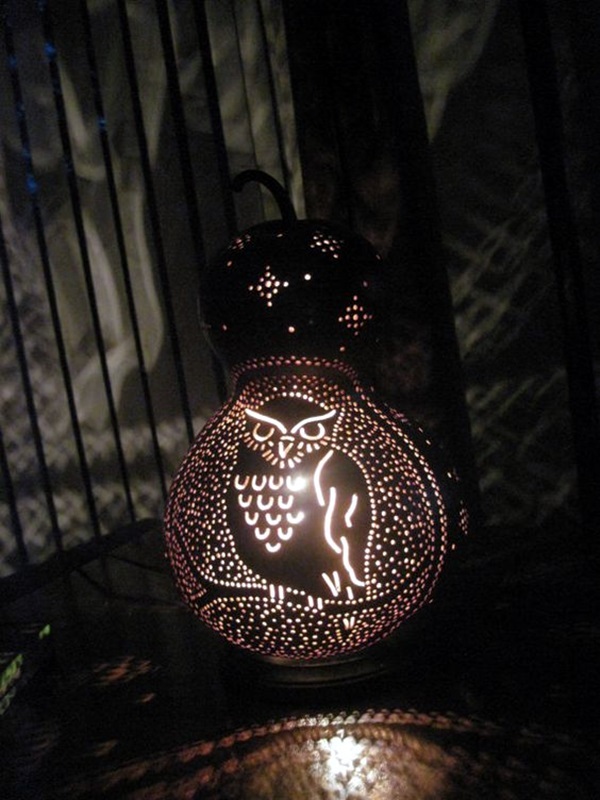 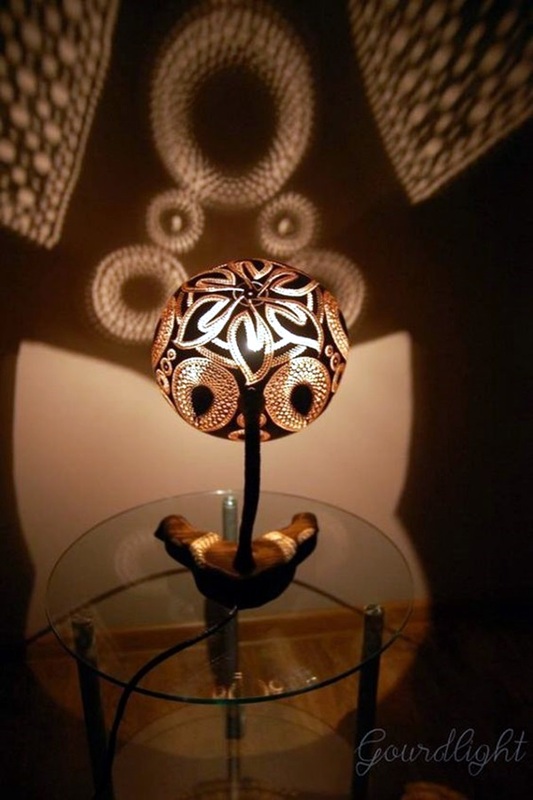 You can start with the coolest night lamps you can see that will have you loving the ambience that it creates. 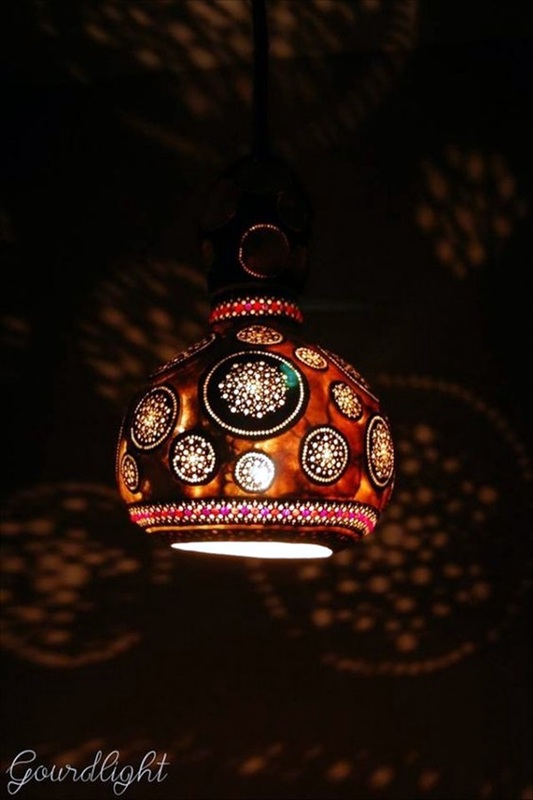 The thing is night lamps or for that matter any kind of lamp comes down the wiring part that provides the electricity supply, the bulb and the structure of the lamp. 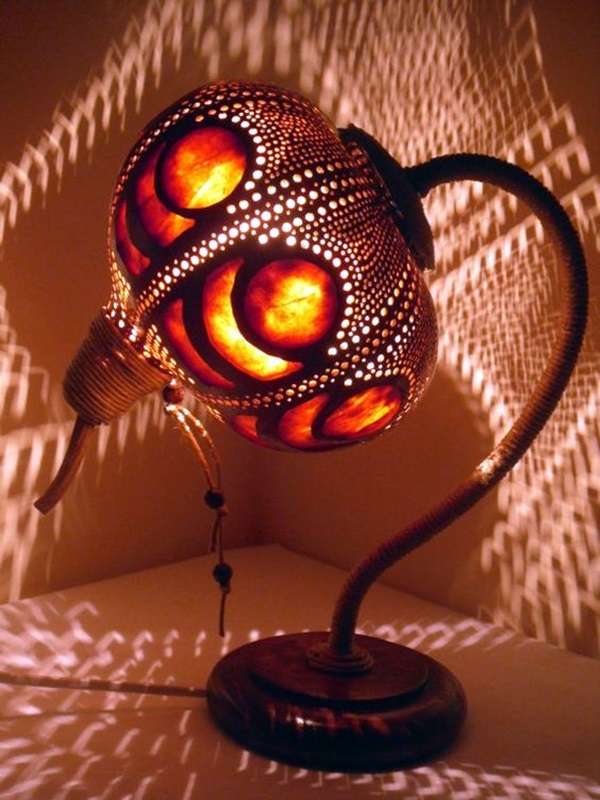 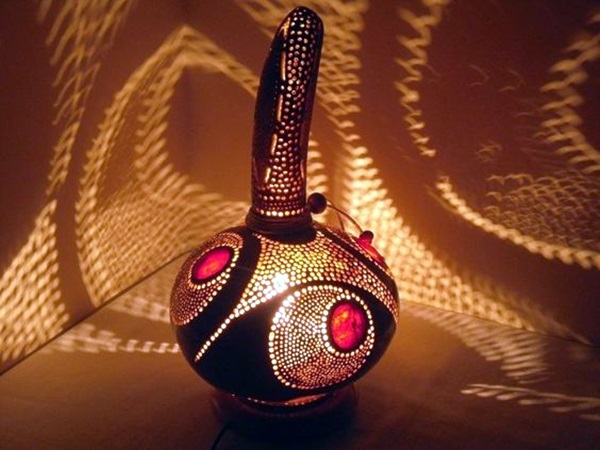 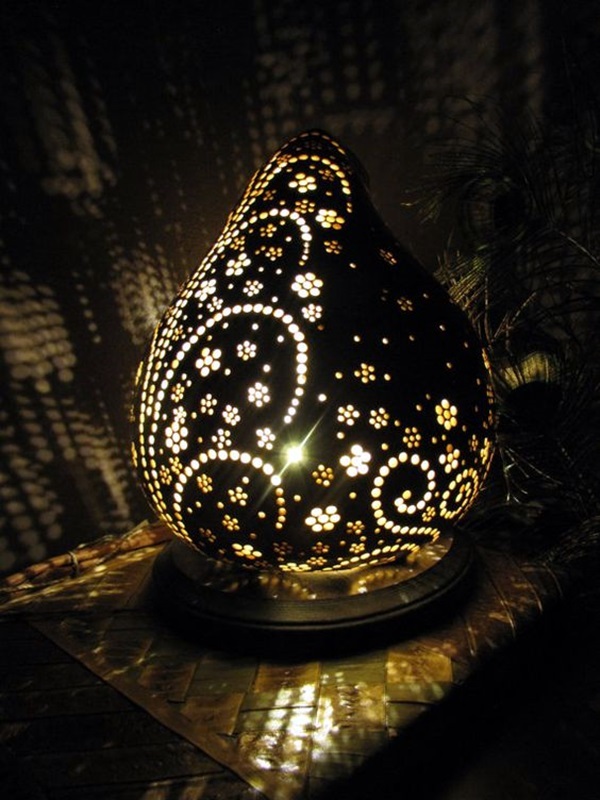 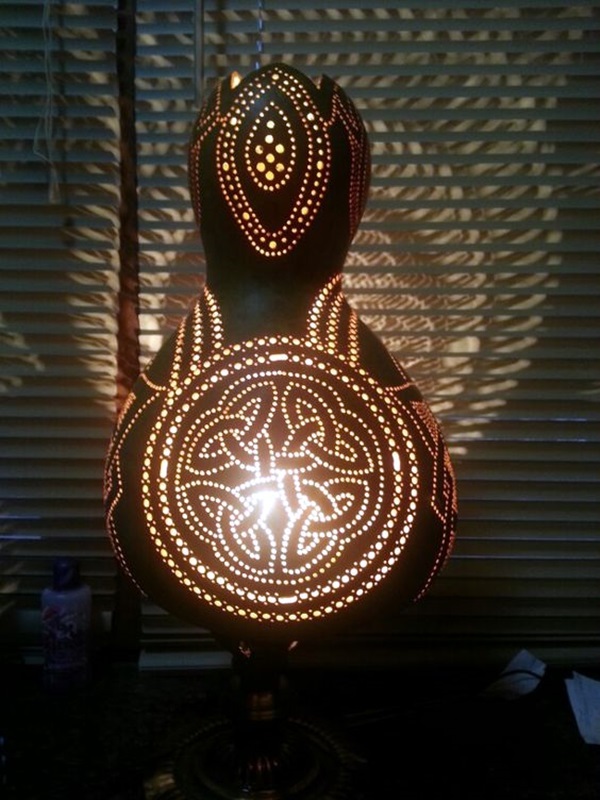 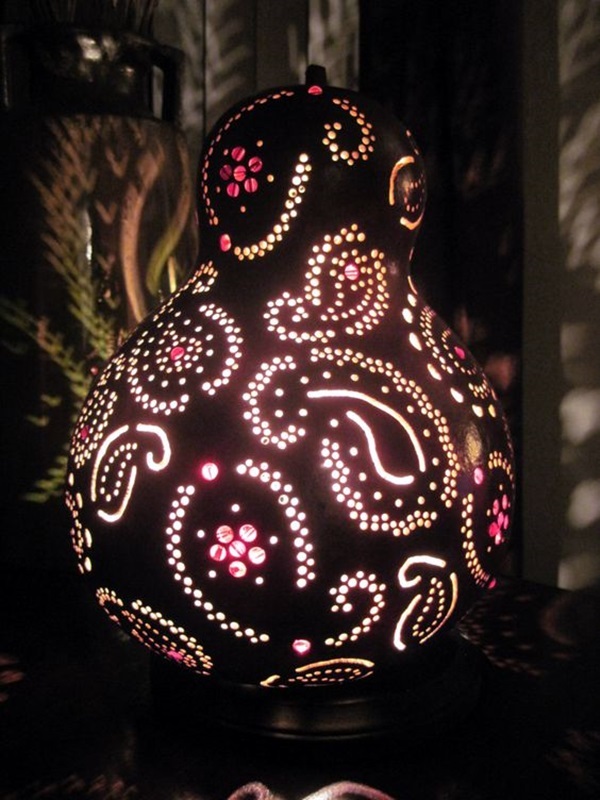 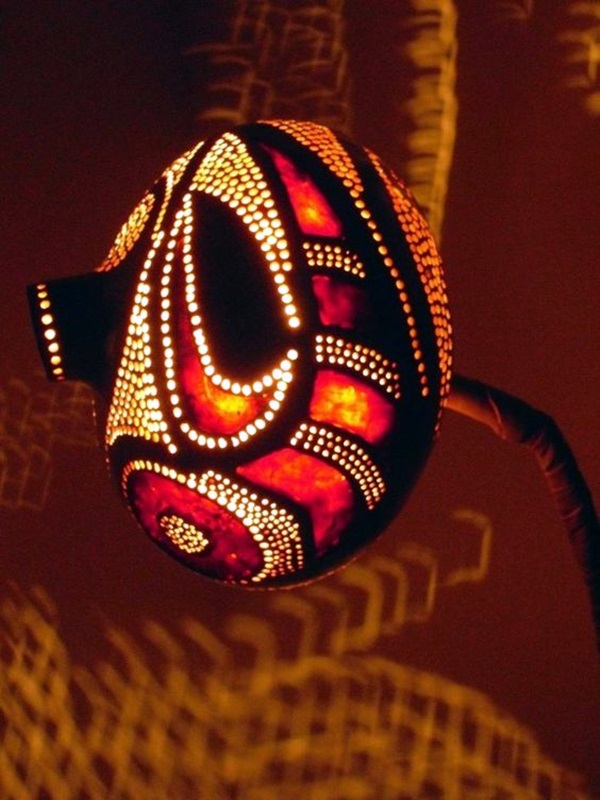 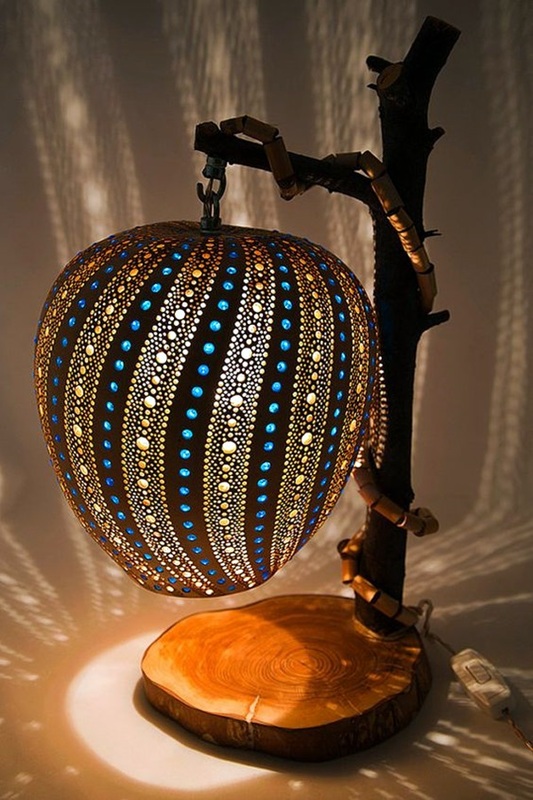 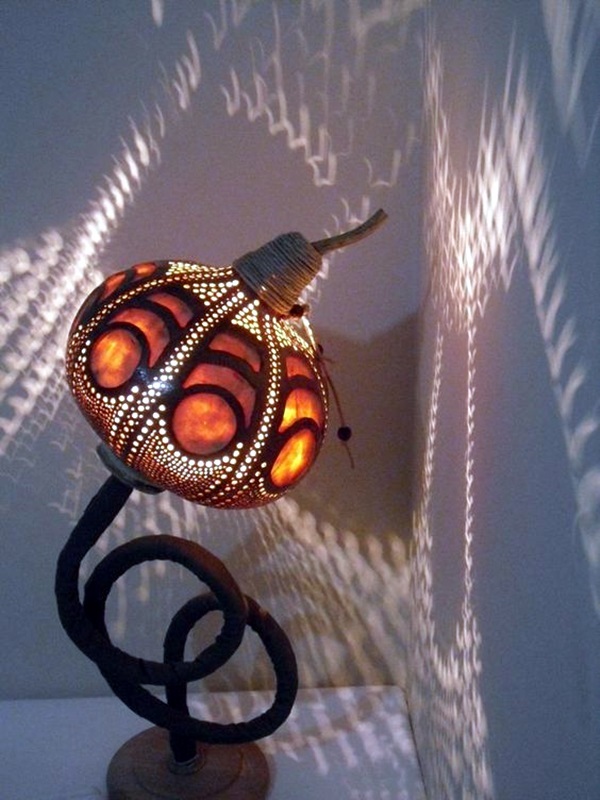 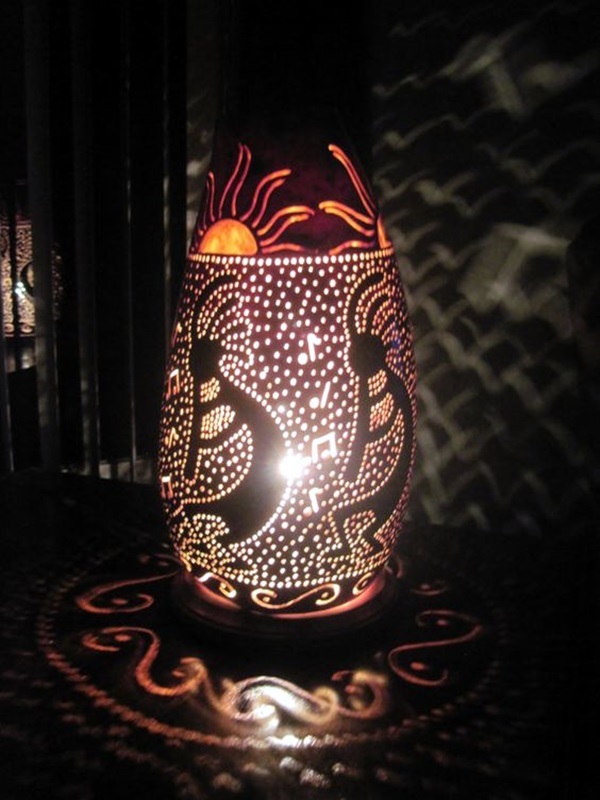 Once you have the first three things under your control, you can think of many creative ways to create the body or the structure of the lamp like amazing art inspired gourd lamps. 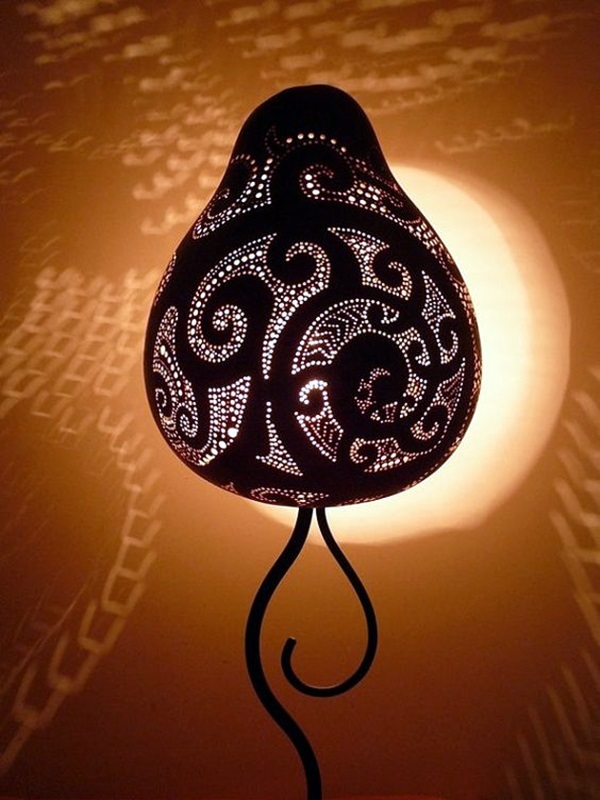 The thing about gourds is that once you have removed the innards and cleaned it up, it does offer a unique potential to make up the lampshade part of the lamp. 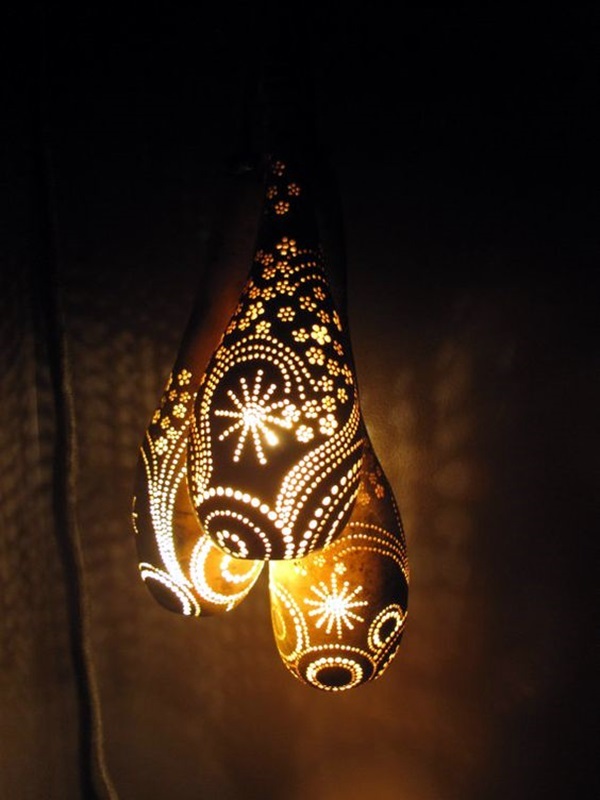 But before you rush into this project, do learn how to cut a gourd open without much damage to the outside, clean it and treat it in order to make the shell hard and resistant to cracks or any other kind of damage. 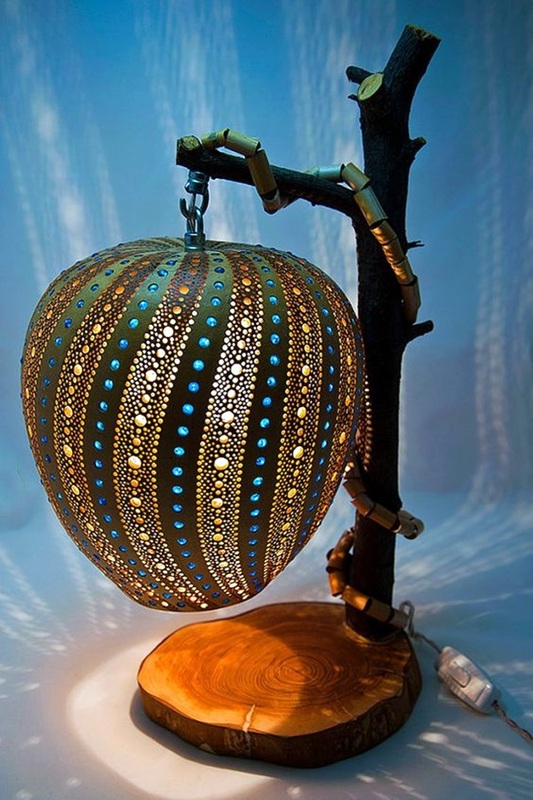 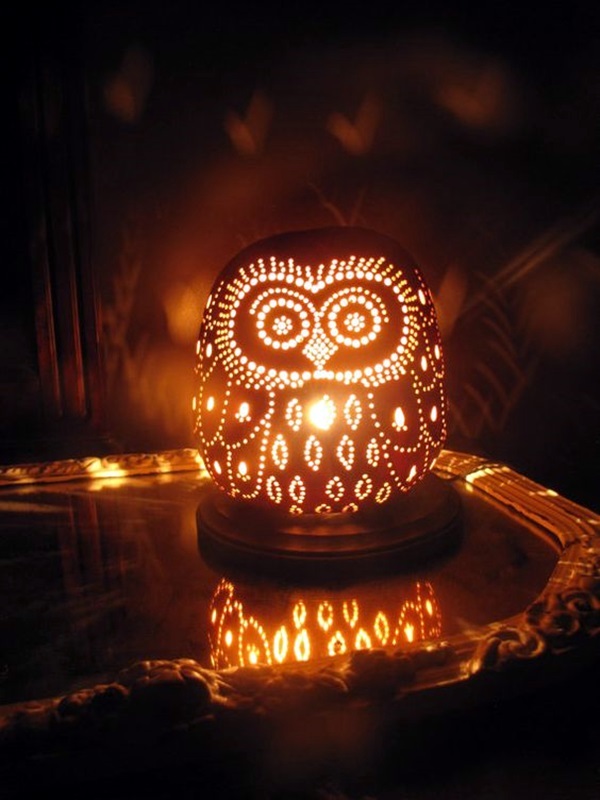 Then you can start on the path to creating exceptionally creative lamp designs to decorate your home and the one thing you can be sure then that your lamps would be unique indeed. 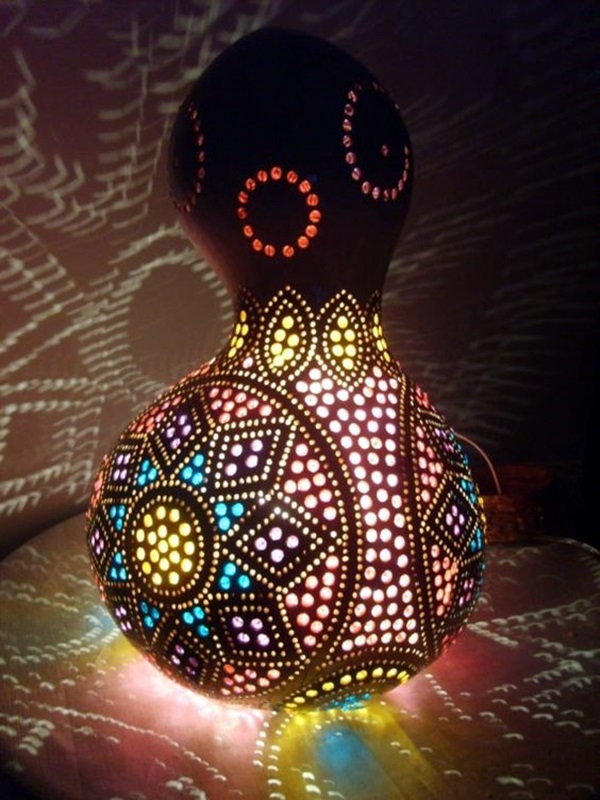 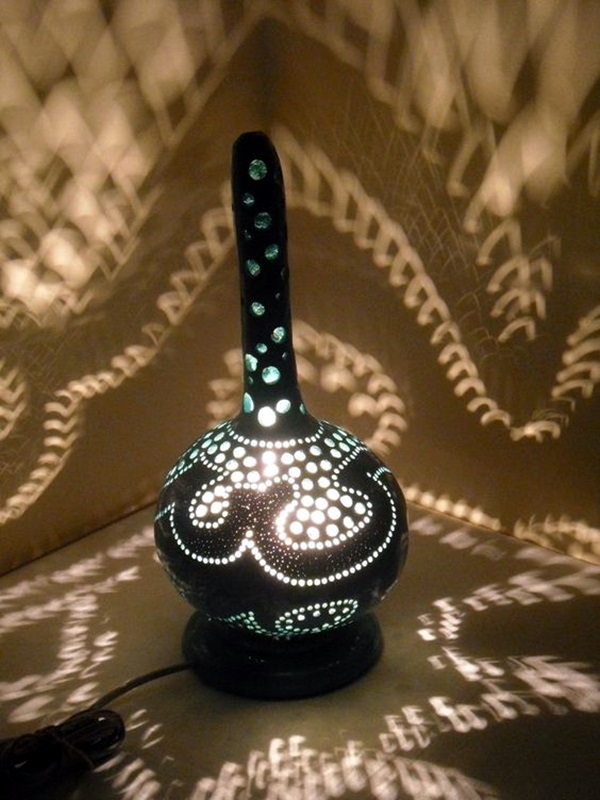 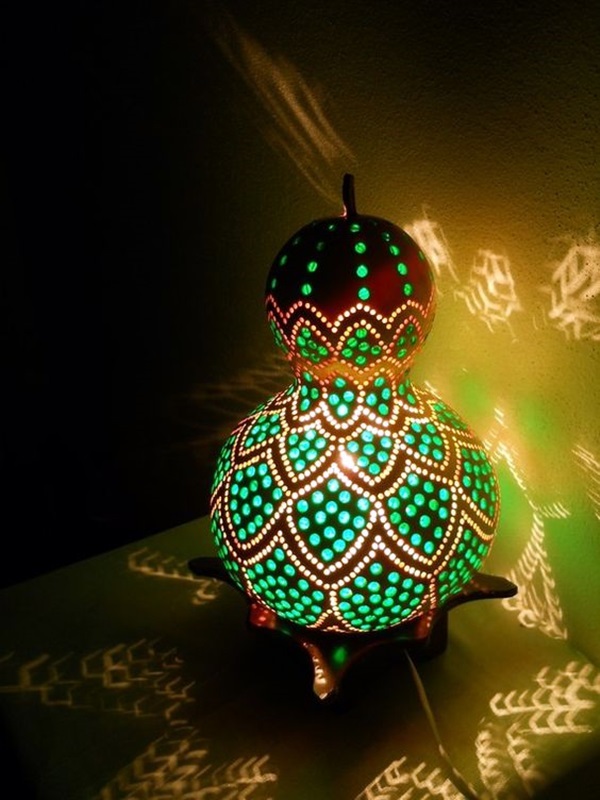 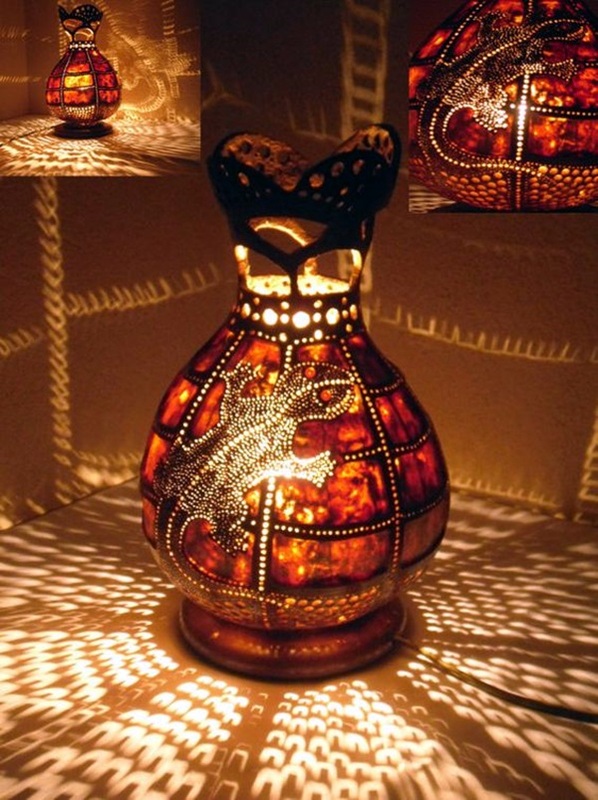 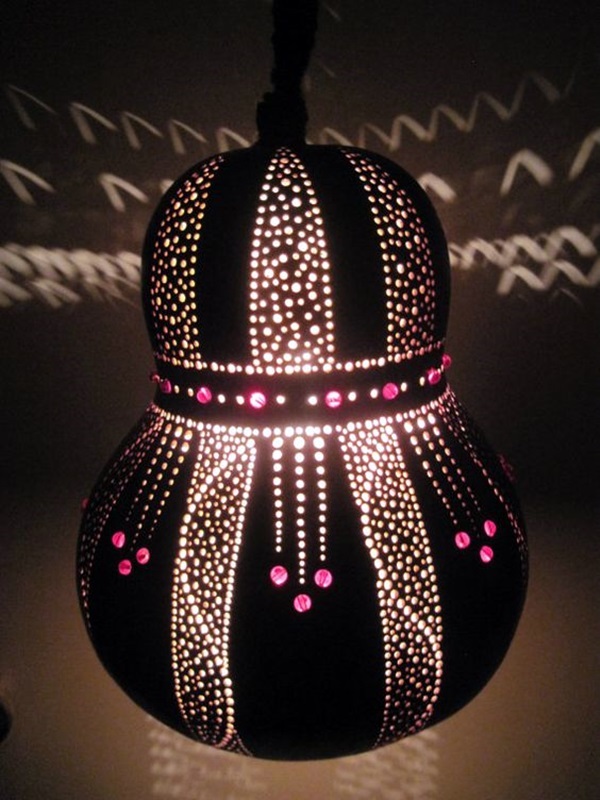 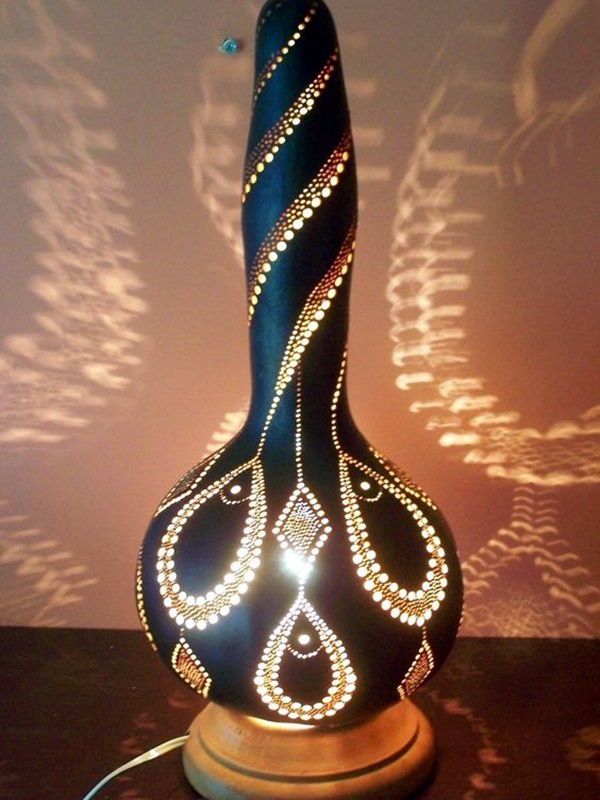 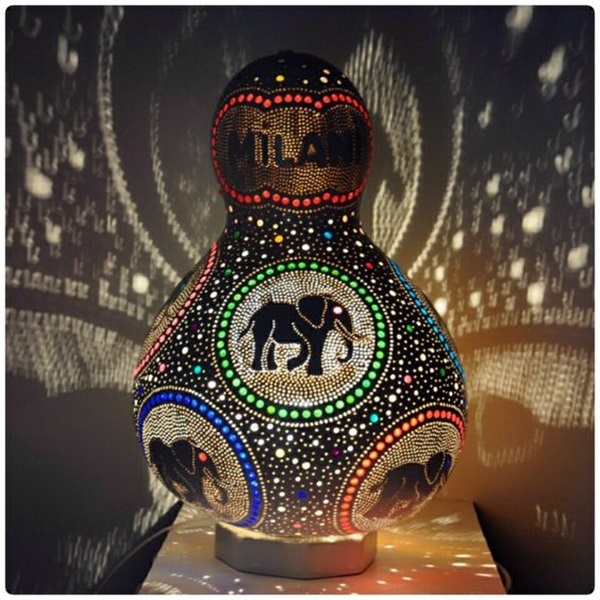 Agreed that the process for creating the gourd lamps may be longer than other types of lamps like the beautiful wine bottle lamp ideas but who is to say that you cannot have a good mix of both at your home? 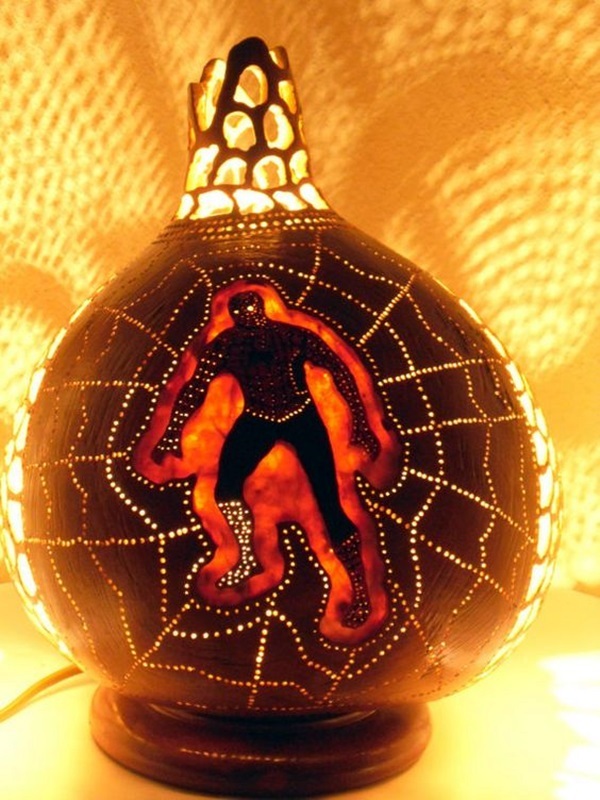 Once you look at the images that accompany this article, you will realize that people have come up with some remarkably good ideas to use up the humble shell of the gourd. 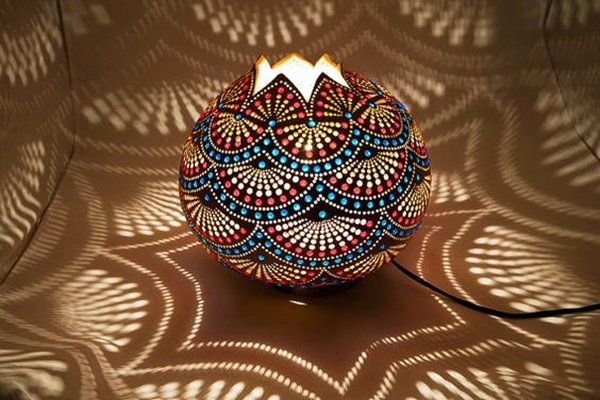 It is indeed a pleasant surprise that so many different varieties of lamps have been created using just the outer cover of the gourd and some are so intricate that you can wonder at the thought process and hard work that has gone into the making of this. 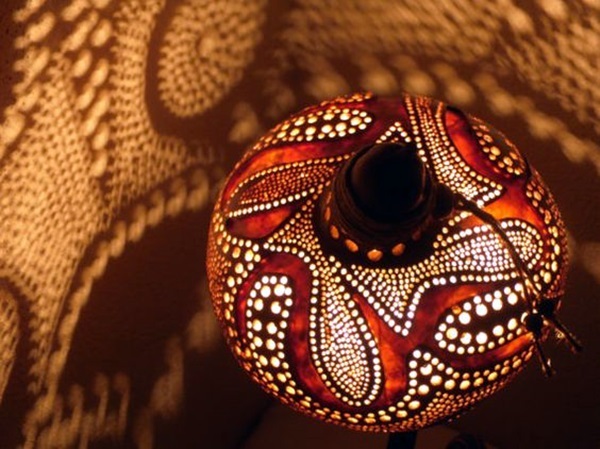 The logical way for you to get started is by picking up the easier ones to do at first so that you gain the confidence to do better as you go on. 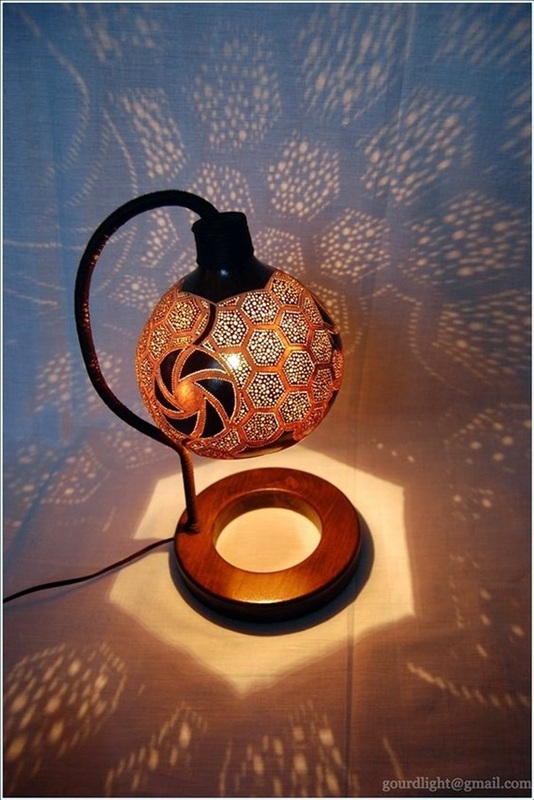 Another point to be considered is also the overall décor of your home and the way the lamp will fit into it. 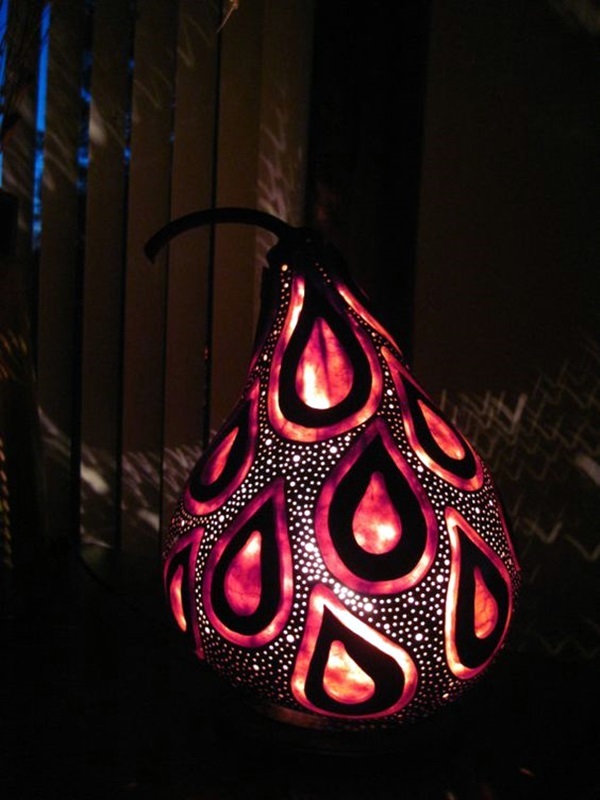 For instance, if your décor veers towards an ultra sleek and modern looking décor, having a handmade gourd lamp may create a jarring note. 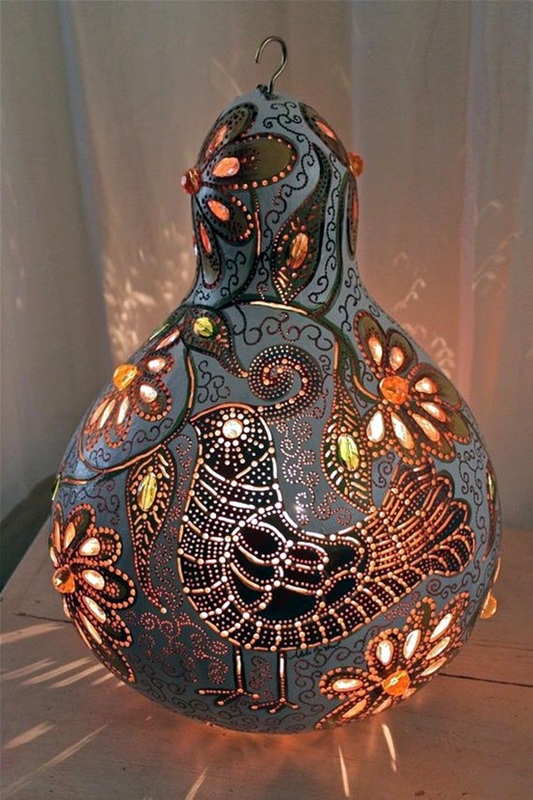 Unless you manage to add some metallic paint to the gourd and come up with a minimalistic design that goes with the overall theme. 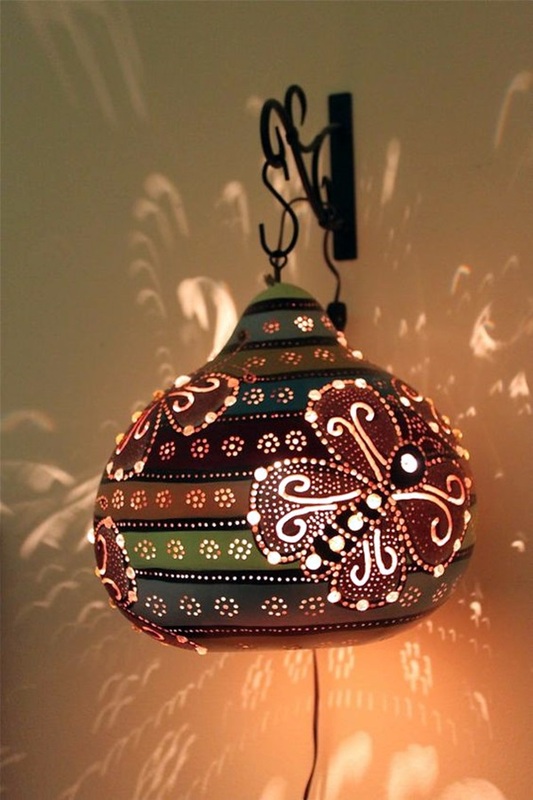 But if the theme of your home is veering towards the handmade and the ethnic stuff, then a gourd lamp in its many avatars will fit right in. 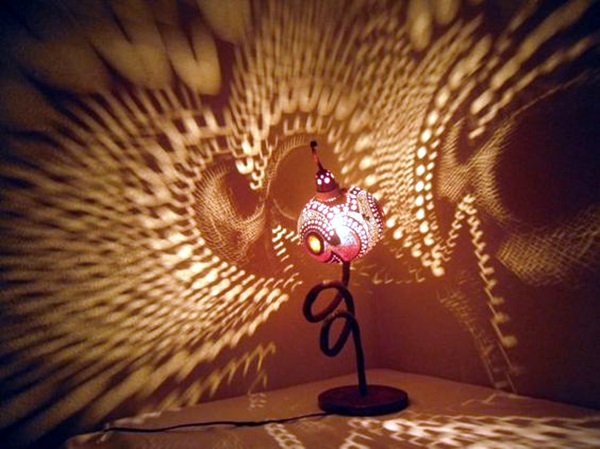 It will in fact look so good and so right that you will wonder why you did not conceive of this idea in the first place yourself. 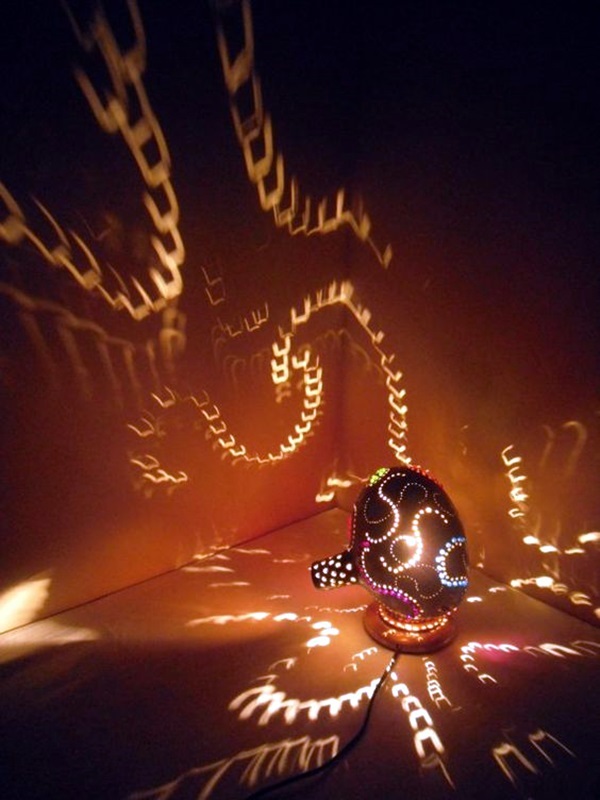 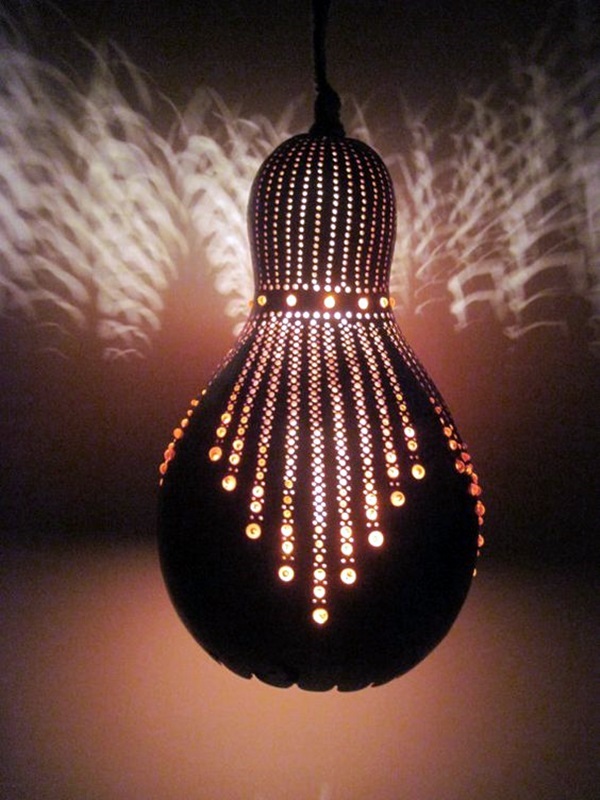 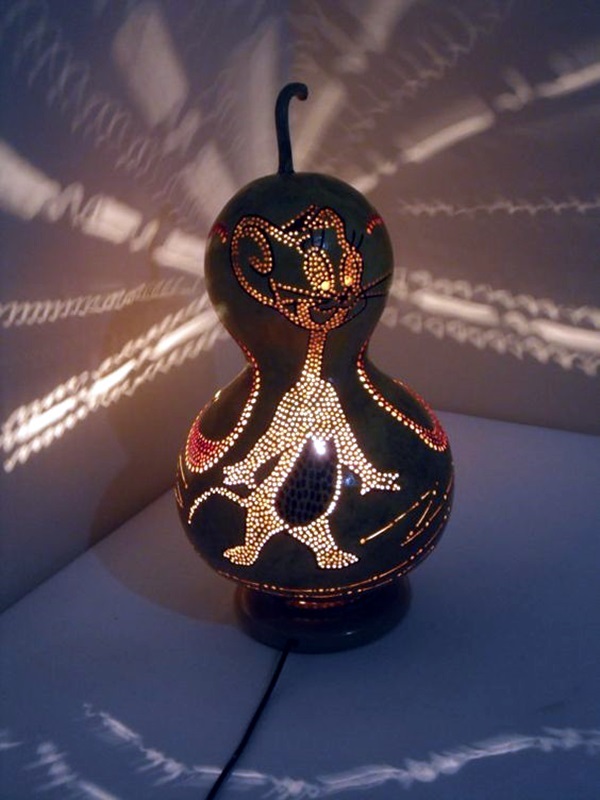 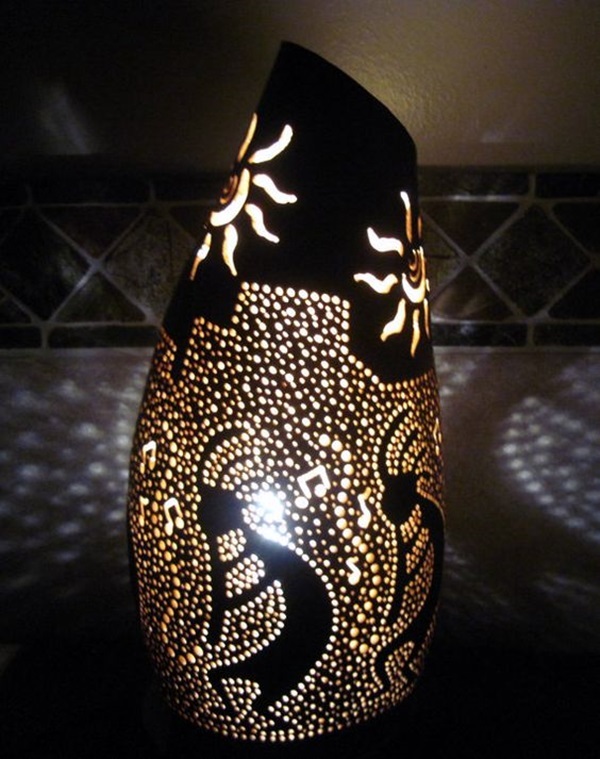 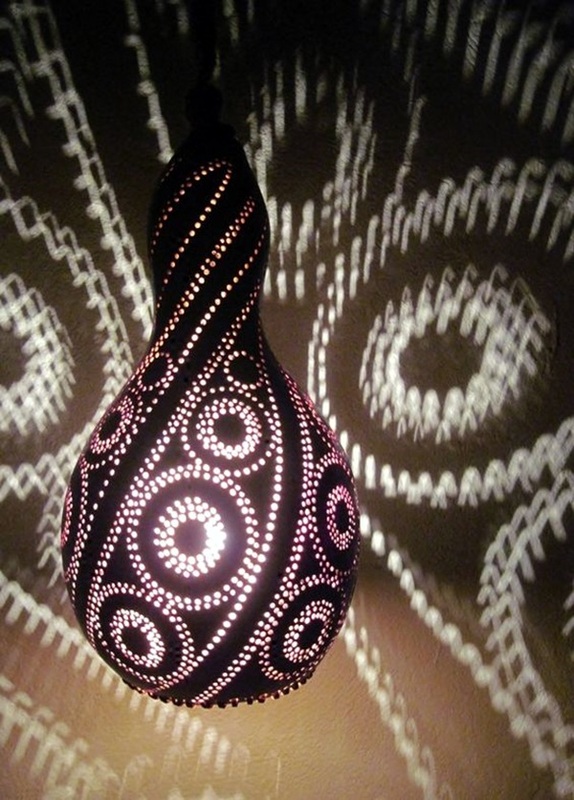 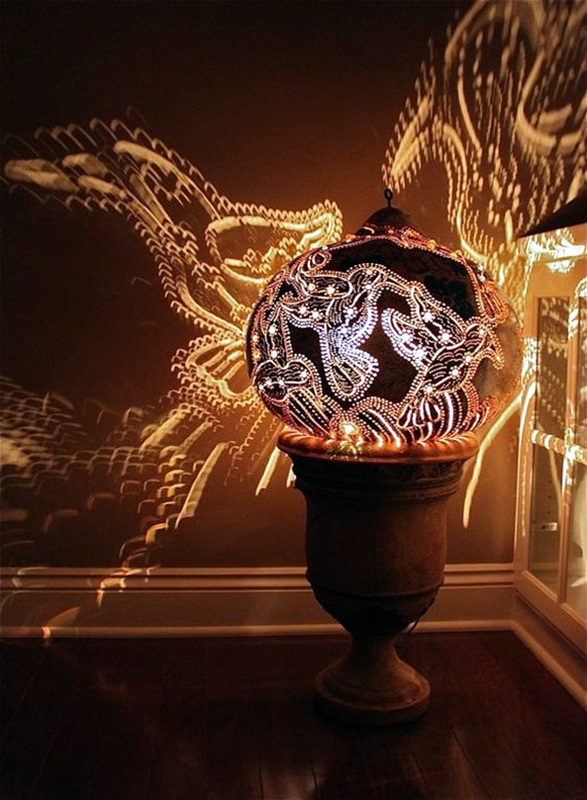 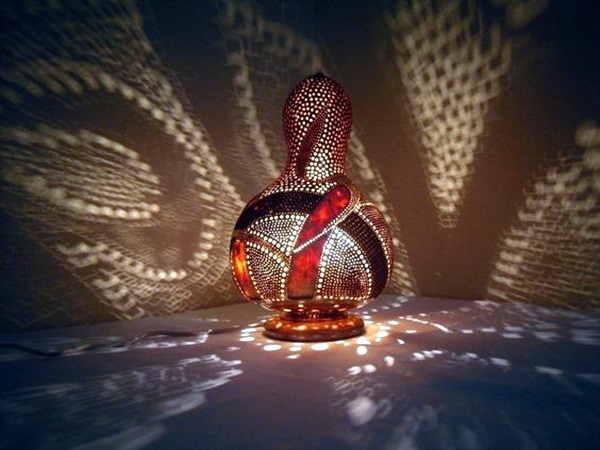 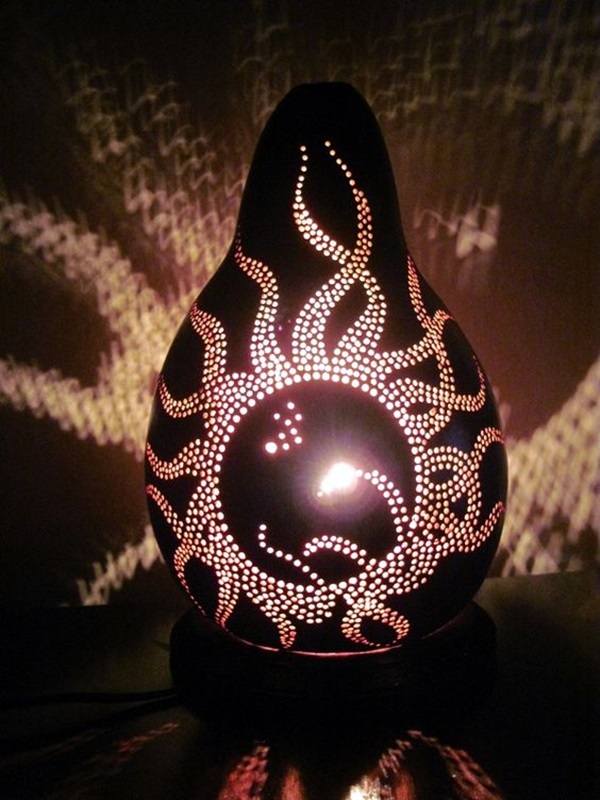 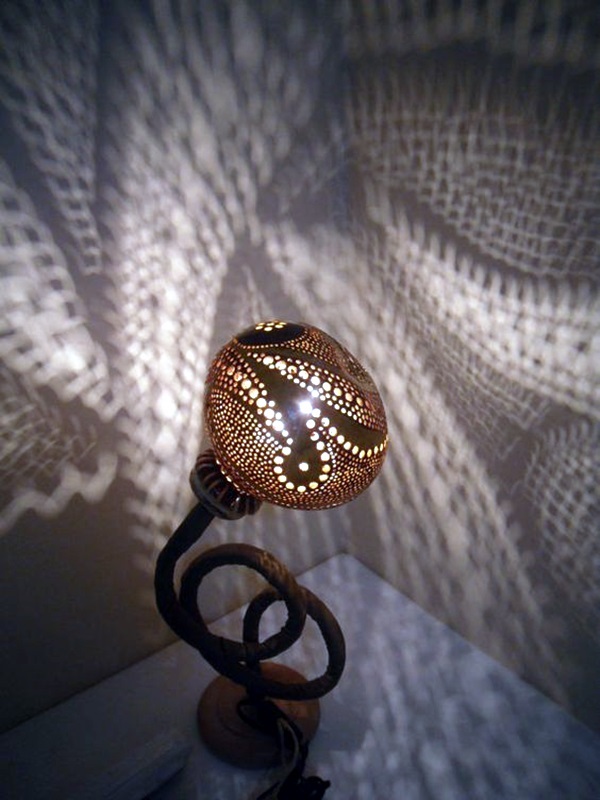 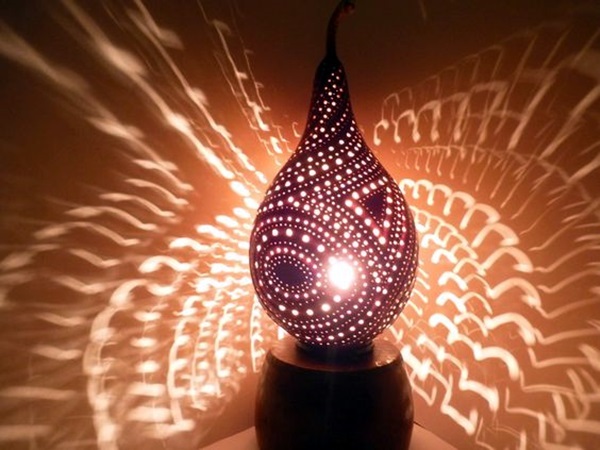 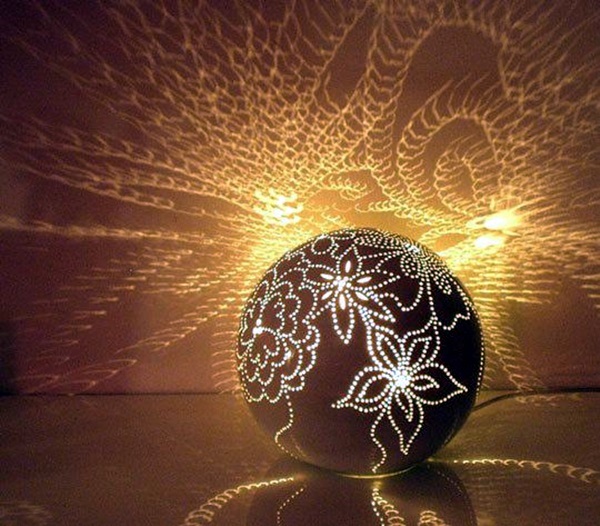 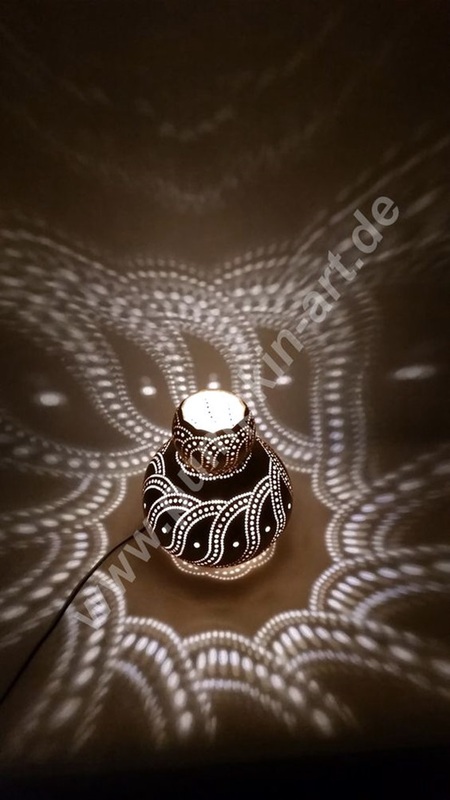 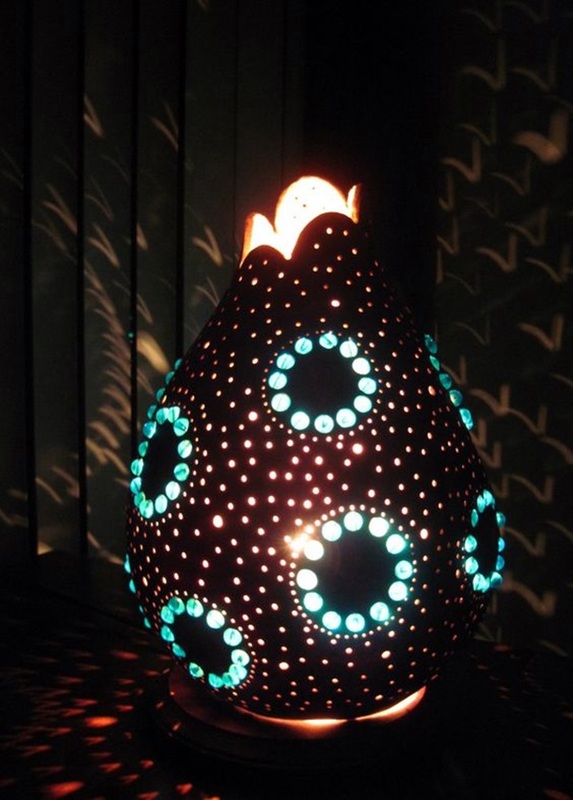 Starting from etched ones that create patterns of light to the simplest concepts that look homey, the gourd lamp art project is something that you are going to enjoy. 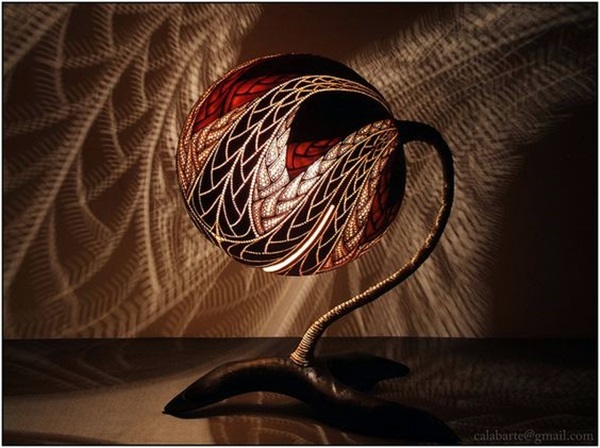 You will soon be planning the next one even as you are on the finishing stages of the current one.